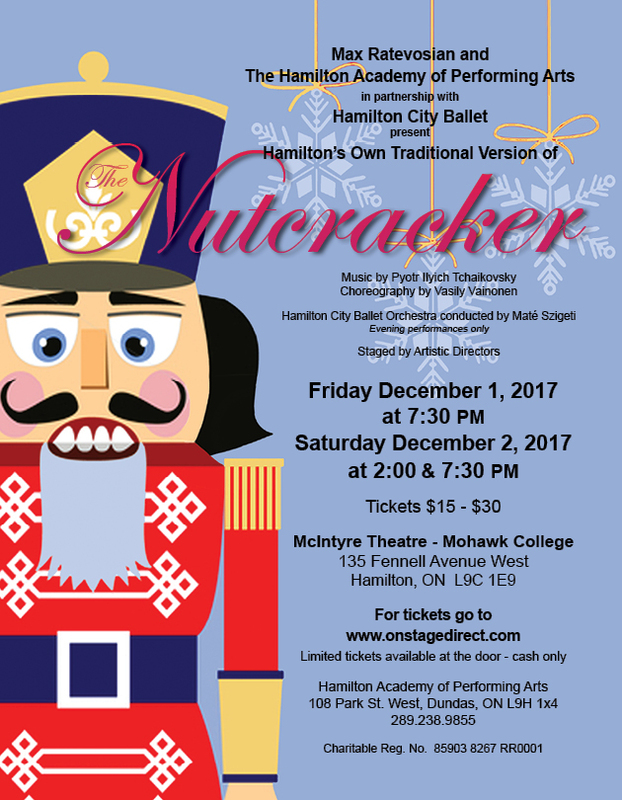 Hamilton Academy of Performing Arts in partnership with Hamilton City Ballet presents Hamilton's own Traditional Version of this most loved classic. Evening performances with the live music of the Hamilton City Ballet Orchestra. McIntyre Performing Arts Centre, 135 Fennell Avenue West, Hamilton. Friday 7:30 pm, Saturday 2 pm and 7:30 p.m.